First impressions could change your business - Pro Wash LLC. In today’s retail market, it is critical that consumers walk away from a business with a positive first impression. In general, people are attracted to cleanliness, and first impressions matter. When patrons are searching for a place to spend their money, they notice the exterior of your building. If the first impression people get is one of a positive nature, its proven that there is a higher chance of gaining a repeat customer. Taking the time to show them you care by keeping it clean will boost your customer base. Pro Wash is willing to perform commercial pressure washing while you are closed to assure that business traffic isn’t interrupted, which is important as well. All businesses can benefit from thorough power washing services. Some locations only have a few squares of concrete by the entry door that gets dirty, but rest assured, potential customers do notice the dirt. Other locations, like restaurants, have many places that need quality hot water pressure washing. Dumpster pads, loading ramps, kitchen back doors as well as the kitchen floors themselves can usually all benefit from quality de-greasing agents and professional cleaning techniques. 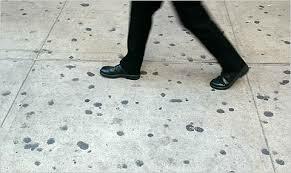 Setting the stage for customers to trust and patronize your establishment is paramount, and the first thing they see when walking up to the entrance is the concrete sidewalk. Take a look at this Forbes article. The evidence is clear that a neat and clean environment is more inviting not only to current clientele, but to potential new customers as well. When meeting someone new in the business world, you want to look your best. The same goes for the introduction of commercial properties. First impressions are important to say the least. 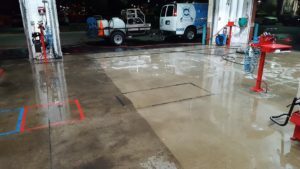 As providers of the highest quality pressure washing services in Nashville, TN, Pro Wash can schedule a cleaning for your small entrance way concrete or your large scale pressure cleaning needs such as parking garages. Call us for a free quote or consultation today.